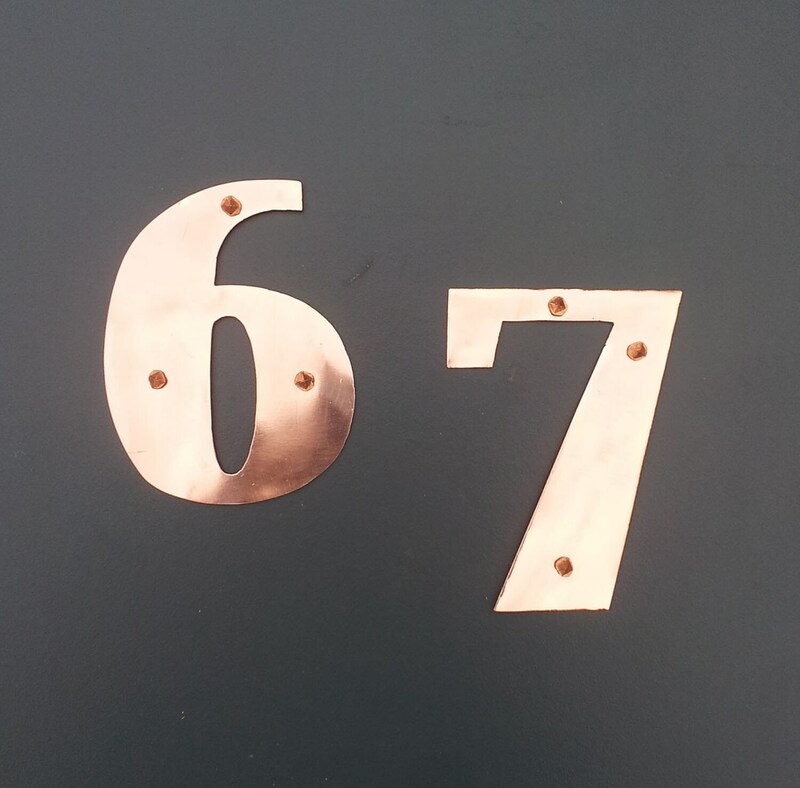 75mm/3" high house numbers in an Art Deco font made from eco friendly copper - a 99% recycled item. Supplied with brass round head screws or copper rosehead nails and fitting instructions. 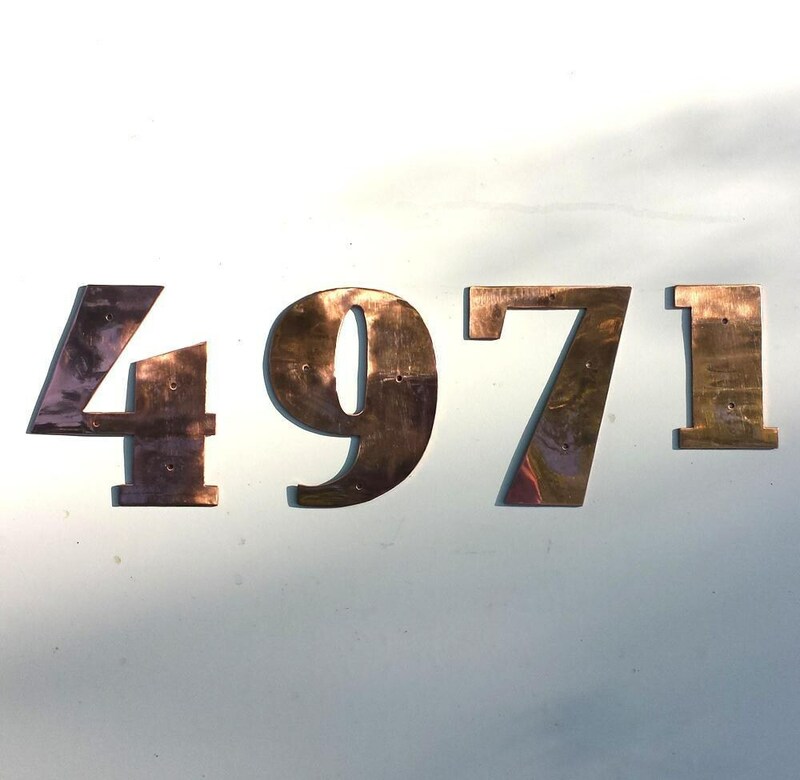 Polished copper reflects car and street lighting so illumination may not be necessary - saves electricity. 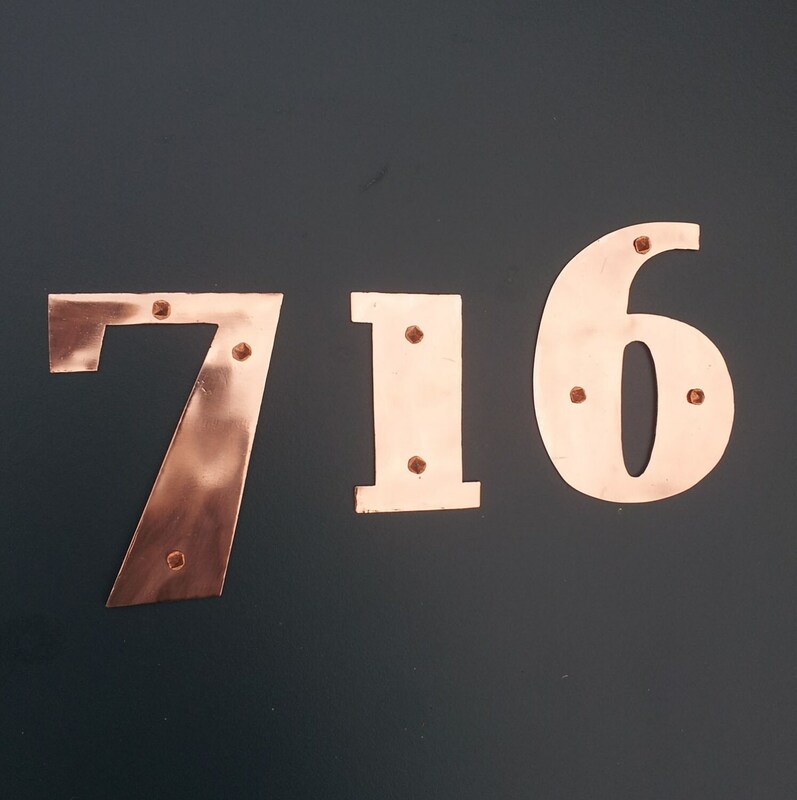 The polished and hammered copper numbers are coated in marine quality lacquer. 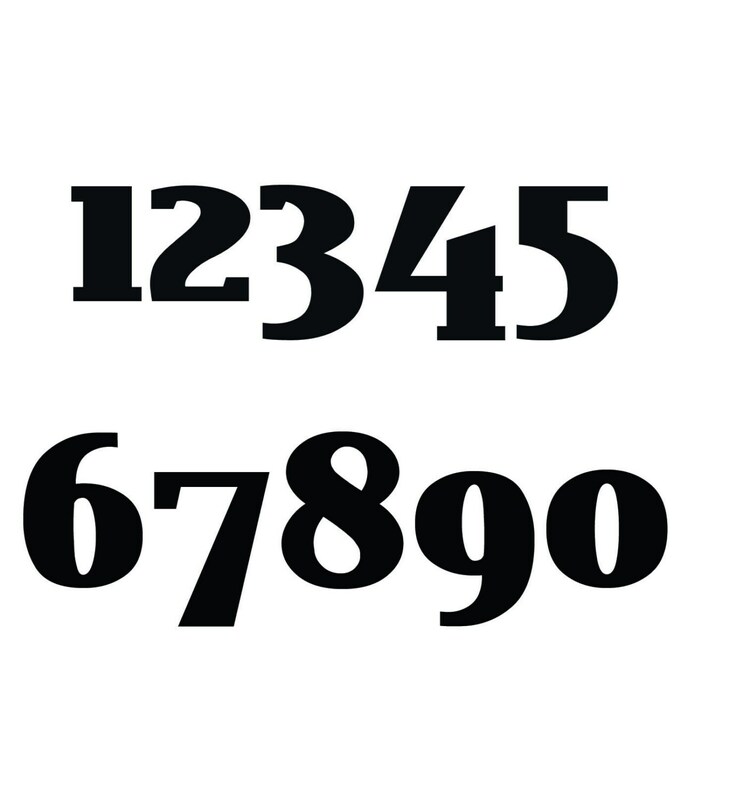 Please choose the quantity of characters from the dropdown menu, choose layout/finish (either will do for single number) and put the number you require into the Personalisation text box. Items received after about 2 months. The metalwork is first class. The finish is second class. It appears to have been packed for shipping while the coating was still wet. The packing paper pulled of the finish in several places. I think in a few months it will look OK. Not quite up to the standard I was expecting, but very good. After the length of time to receive item, I do not wish to go through any return or replacement process, although I'm sure the seller would ultimately make perfect. This was his chance. Thanks for an overall very nice product.